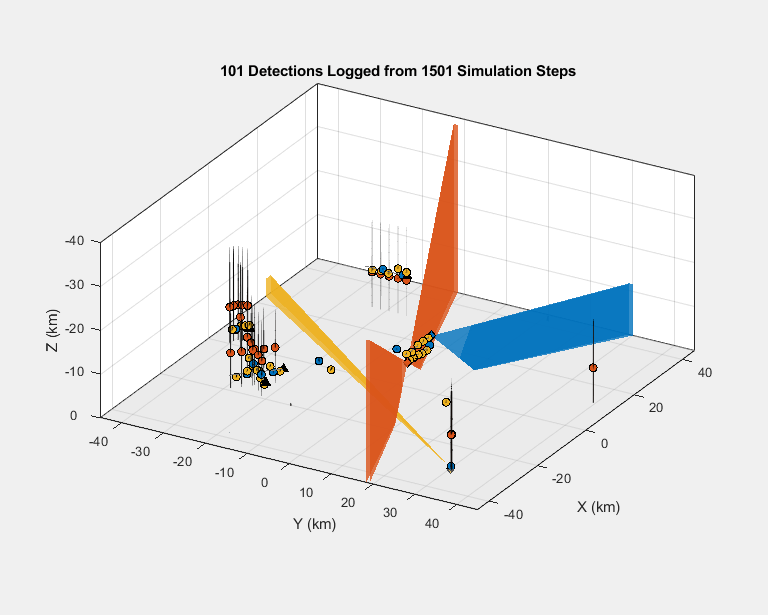 Generate ground-truth trajectories to drive sensor models using the kinematicTrajectory and waypointTrajectory System objects. Simulate tracking of multiple platforms in a 3-D arena using trackingScenario. Simulate the motion of targets in space using trackingScenario and how to generate synthetic radar detections using monostaticRadarSensor. It also shows how to use the various plotters offered by the theaterPlot to visualize the scenario and detections. 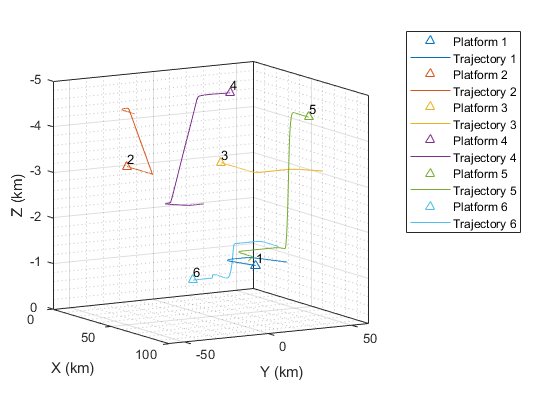 Generate and visualize trajectories of multiple aircraft using trackingScenario and waypointTrajectory. Generate radar detections from a multiplatform radar network. The network includes three long-range platforms: two airborne and one ground-based. Such synthetic data can be used to test the performance of tracking architectures for different target types and maneuvers.